Independent bottler Douglas Laing & Co. launches limited edition cask strength version of Rock Oyster. First launched in January 2015, Rock Oyster is made using whisky from distilleries across the Scottish isles, including Jura, Islay, Arran and Orkney. It was released as part of Douglas Laing’s regionally themed blends, including Big Peat from Islay, Scallywag from Speyside and Timorous Beastie from the Highlands. The small batch whisky is now available at cask strength of 57.4% abv, resulting in a “massive amplification “ of Rock Oyster’s “coastal qualities” and flavours of peat, honey brine and salt. 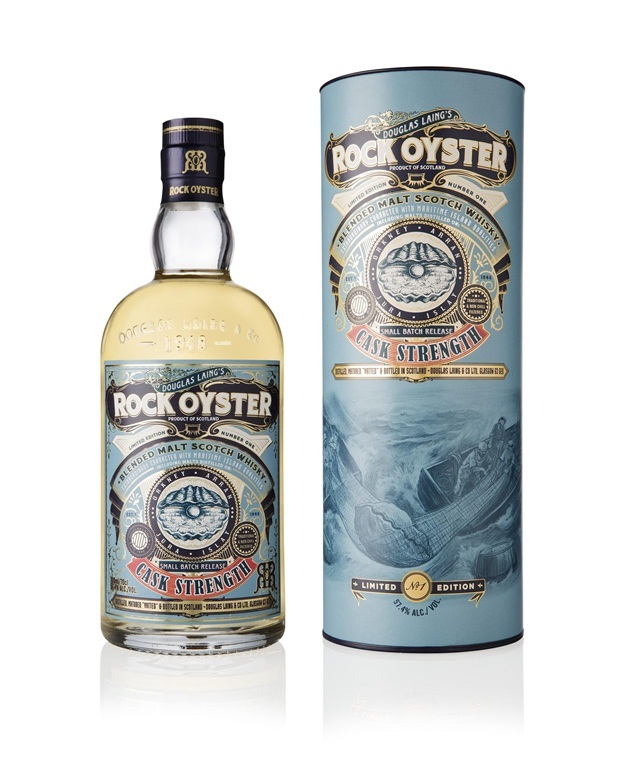 “For Rock Oyster Cask Strength, I’ve selected a range of casks from the islands and lovingly vatted them together to create a blast of sea air on the nose and tempestuously oceanic storm on the palate,” said Fred Laing, managing director of Douglas Laing & Co.
Non-chill-filtered and bottled without colouring, Rock Oyster Cask Strength Limited Edition is available directly from Douglas Laing and specialist whisky retailers.